Mondaq remains one of the world’s most comprehensive online resources of professionals’ expertise and knowledge – but we’ve had a complete make-over. Not only do we have a brand new interface – we have many new features. Want to become an author? Or partner with us? Or understand how you can tailor your Mondaq experience to suit your needs? 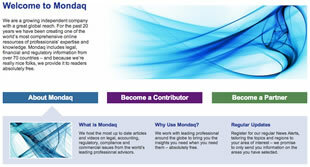 Find out more in the new “Mondaq Services” pages. We’ve made it easier than ever to access Mondaq. The new top level navigation bars and drop down menus allow you to choose topic, regions and other items you’re interested in. The more detailed new filtered search functionality provides a more advanced way to look for the insight you want. One of our new features is the “trending articles” – see what Mondaq users are most interested in. 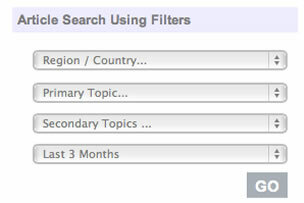 And take a look at the Most Popular Authors, tailored by topic or region. Access all the information you need about your firm’s contributions to Mondaq in the new Key Account Holders area. Password protected and completely secure, your area highlight’s your firms performance on Mondaq, allowing you to see what articles you’ve written, the readers statistics for your articles, your feed to LinkedIn and much more. Focus on one favourite author to see all their articles and understand their areas of specialization. 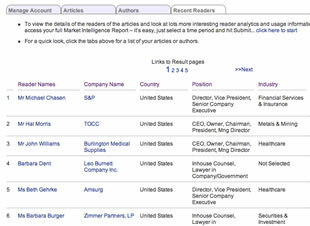 If the author is amongst the most popular across Mondaq, we now show Author Rankings. 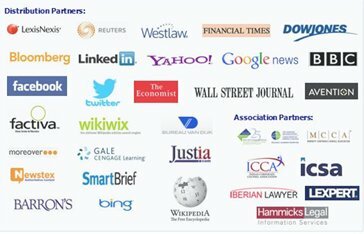 If the author is in the top 20% most popular for a particular industry sector, user group or topic area, this is highlighted. By analyzing the Mondaq user communities usage activity, we hope to point you to authors that have proved particularly useful to other readers.